Interests:Scottish regiments and especially anything piping related. I don't think that Alan has been active on the forum recently, but I have a copy of Major Ewing's History of the Royal Scots 1914-19. There are five pages describing the action which you mention: if you e-mail me at william"at"williamrevels.com (putting @ instead of "at"), then I can e-mail you scans of the relevant pages, if that would help. Many thanks William. I now have a far better idea. Much appreciated. Can anyone kindly decipher this for me? Interests: Royal Scots Fusiliers (avatar shows my grandfather, Capt. S. Revels, aged 22). Having completed an MA in 'Britain and the First World War' at the University of Wolverhampton, I have recently started a PhD. You are most welcome! Over the last 5 years I have had a HUGE amount of help from other forum members, and so it is a pleasure whenever I find that can help others in any way at all. Recently I managed to successfully identify a Scottish soldier of the 2nd Bn HLI who is buried in Bancourt British Cemetery.Also found buried with him was an unknown L/Cpl of the 1/8th Royal Scots and I am in the process of putting a case together to present to the CWGC for identification. I believe the unknown L/Cpl to be Brunton Smith and I am trying to find out if he was a signaller. He was killed on the 24/03/1918.Do you have any information which may point to him being a signaller. He came from Roslin. Alan has not logged in to the site for a year and a half. Perhaps if you send him a PM this will alert him by email? 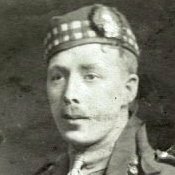 Researching a private in 15th Bn and thought I should add that The Royal Scots 1914-1919 by Major J Ewing is freely available online. I am looking for information regarding Sgt John Brown Fairweather of the The Royal Scots (Lothian Regiment) 11 Battalion. He died of wounds 14 Apr 1917. Unfortunately, Brian, Major Ewing’s history, like most of its genre, is short on the names of private soldiers and long on the names of officers. Of the few private soldiers or NCO’s mentioned, your relative is not one. The Arras battles in April and May involved many battalions of Royal Scots, including the 2nd, 8th (a pioneer battalion), 9th, 11th, 12th, 13th, 15th and 16th. In a daring daylight raid on April 5th, two platoons of C Company, 13th Bn., commanded by Captain J.A. Turner, entered the German trenches and returned with only four men wounded. On April 7th, a raiding party from the 16th invaded the German lines and captured three prisoners. However, their officer, Captain Cowan, was wounded and captured. As the main battle commenced on April 9th, the 8th, 9th, 11th, 12th, 15th and 16th Battalions were north of the river Scarpe, the 2nd and 13th were south. Despite the relative success of the day, it is recorded that the 11th suffered over one hundred casualties (killed, wounded and missing), the 12th nearly two hundred. On 12th/13th of April, the 2nd and 13th Battalions were relieved and went out of line. To this point 2nd Royal Scots had lost nearly thirty-five other ranks killed, two hundred wounded, and forty-three missing. On the same day, 11th and 12th Battalions were involved in a costly and abortive attack on the chemical works near Roeux. By the time it was over, 11th had suffered nearly one hundred and fifty casualties among the other ranks and 12th had suffered nearly two hundred and fifty. Between April 9th and 12th, 9th Battalion suffered two hundred and thirty casualties among the other ranks and between April 9th and 14th, the 15th and 16th Battalions suffered over five hundred casualties among their other ranks. Until the 23rd of April, only 9th Battalion came into contact with the enemy but on the 23rd, both it and 13th Battalion entered savage fighting, south and north of the Scarpe respectively. By the time it was over, 13th had lost over one hundred dead and two hundred other ranks wounded or missing and the 9th had lost in similar numbers. But the worst was yet to come. On April 28th, the 15th and 16th battalions went into action around Roeux. By the time the dust settled that day, the battalions had lost over five hundred killed and wounded out of a total combined strength of only eight hundred. On 3rd May, 2nd Battalion attacked around Monchy le Preux and was relieved on 6/7th of May. Since April 24th it had lost two hundred and fifty four other ranks killed and wounded. North of the Scarpe, 12th Bn. got into a sharp fight to aid a withdrawal by 6th KOSB that cost a hundred and twenty-one casualties in the other ranks. Little more involved the Royal Scots that month. Somewhere in these notations of casualties is your man. I wish I could be of more help. Have you tried Ancestry.co.uk or the Royal Scots Association? Ask for battalion or Company Rolls. I’m trying to track down any information on Company Sgt Major John Simpson Willocks, Royal Scots 1st / 9th Bn. Service Number 350039, died 27th May 1917 near Roeux. Have you read Cheerful Sacrifice by Jonathan Nicholls? There Bill Hay speaks of his fellow sergeant Willocks. Thanks so much for the information Neill, I never thought I’d find a photograph of him.......he was my Great Uncle (his younger brother Ronald died during the Battle of Loos aged 17).......and yes, I’ve recently got myself a copy of “Cheerful Sacrifice”. I’ve always had an interest in the 1st World War and finding this connection makes me even more determined to find out as much as I can. Any suggestions on how I track down why he was awarded the MM and how he died ? Nicholls says he won his MM on 23 April 1917. This was the major attack on Rœux and the Chemical works. When A Company CSM John Renwick was killed, John Willocks became acting Company Sergeant Major. In the second half of May they were back in the line and on 27 May 17 the battalion suffered heavy shelling and also attempted a raid. It is not clear how John Willocks was killed except KIA. I've attempted to provide as much information as possible on these actions in my history of the battalion, out next year. Incidentally, it looks like he joined in March 1909. Thanks for all the information Neill, it’s much appreciated. I’ve just flicked through my recently purchased copy of Cheerful Sacrifice by Jonathan Nichols. As you’d expect, I went straight to the index for references to “Willocks”. From the Willocks (or ********) standpoint, I was particularly disappointed with page 70/71 of the “world according to Bill Hay”. For a book to leave this impression of a brave soldier like my Great Uncle, who was awarded the MM, is very disappointing. Morning, I think you are right that it is just the 'world according to Bill Hay', as they were clearly rivals. In short order John Willocks was made Company Sergeant Major and won an MM, I think it is clear he must have been a very remarkable man. I should add that on 9 April 1917 No 2 platoon's officer was killed leaving the trench, so that the platoon was successfully led up the shoulder of Vimy Ridge by your Great Uncle. Thanks for your comments Neill. As soon as I submitted my last post, I regretted it. I look forward to reading your history of the battalion next year.